Dr. Jenkins’ teaching interests include pharmacy practice, with an emphasis on both the operational aspects of institutional practice as well as adult medicine. Her specific teaching interests include nutrition support and pain management. Dr. Jenkins’ research focuses on practice model advancement in institutional practice as well as best practices in nutrition support. 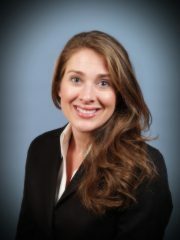 She currently practices on the Clinical Services Team and serves as the PGY-1 Residency Coordinator for Baptist Memorial Hospital-North Mississippi.